I'm one of those creative types who has like 18,000 projects running through her head at all times, and I will admit I get a little jumbled now and again, but mostly keep stuff in order. You know the type. We just keep getting new ideas, and shuffling them into our mental filing cabinet, which I think perplexes some other people, and that's totally okay! I don't expect everybody to know what's going on up there in my head. However, it does make me forget to tell people when I have a plan for things that they don't think I have a plan for. Namely, I wanted to reassure everybody that even though I'm really focusing on Sky's End right now, I haven't forgotten about my other projects! 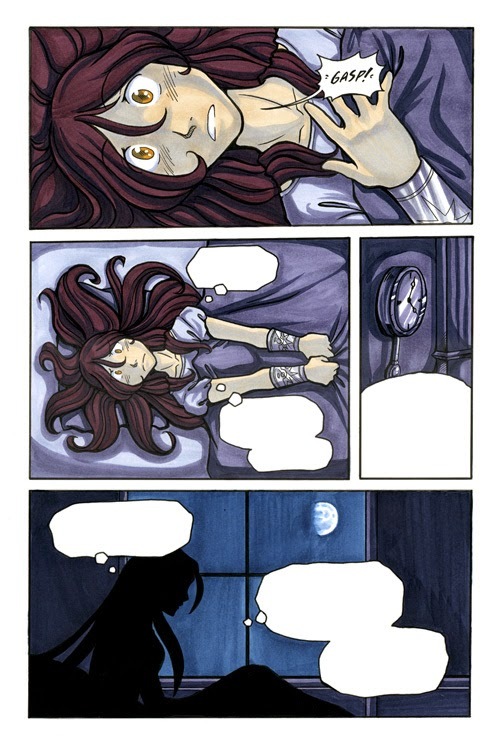 I honestly haven't forgotten about this lovely little story I had started! Now that I'm getting used to doing things via actual paper, I need to actually sit down and remember how to do this digitally (if I still want to do that as is) or if I need to get myself Manga Studio to get better tones going (I'm honestly VERY limited in what I can do here with tones). So my promise to all you lovely readers is that while I'm working on Sky's, I'm working to create a very large buffer in which I'll spend the buffer time then penning the next chapter (of which I have mostly plotted out, I just need to actually DRAW it up). 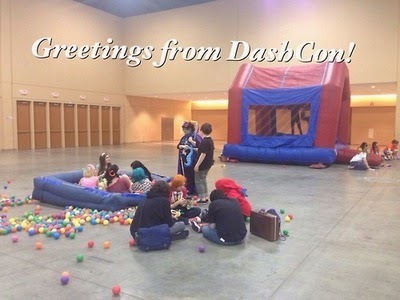 Dashcon - A Lesson We Could All Learn From: AKA "How I Stopped Worrying and Learned to Love the Ball Pit"
So I don't know if the rest of my readers here keep up with latest convention information, but quite a debacle went down this past weekend in July. 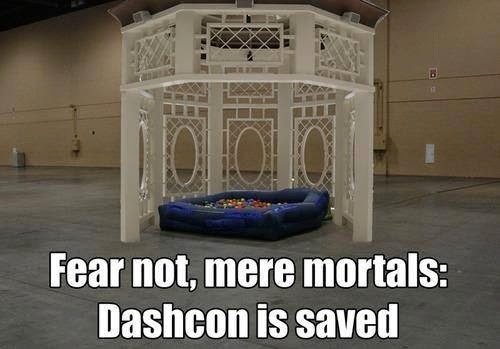 There was this little show going on in Illinois called "Dashcon". The name had appeared in my tumblr feed a few times, as well as through artist circles, so I figured I'd check out their website. Site looked slick, but the premise for the show was dubious at best. 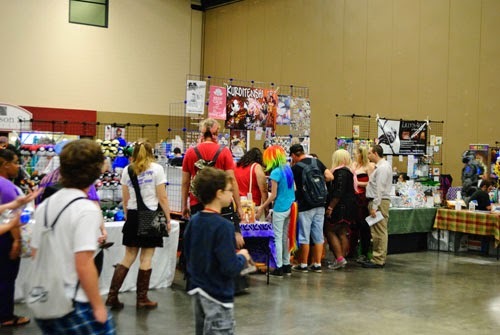 This "convention" was set to be a "tumblr convention" wherein all different tumblr users could meet in person and finally see each other in meatspace as well as share in their fandoms, artwork, and more. Seems legit, right? Well, that is unless you know Tumblr. I definitely have a very love/hate relationship with tumblr. It's great for WIP shots, promotional stuff, and getting artwork out, but it's also writhing with crazed fandoms, less than savory pictures (usually NSFW, thank you people who tag those), and tons of "Social Justice Warriors". It can honestly be a very tiring place, and it's taken me a while to even pare down my tumblr feed so I don't get depressed on a daily basis. BUT I DIGRESS. Around two months ago, they posted their "panel listing", to which I opened it up with a group of friends, and even just SEEING the titles of the panels, the show became a big NOPE to me. A lot of the "panels" focused on strange topics like "tumblr speak" all the way to ones obsessing over stuff like "British Men With Cheekbones". Needless to say, it was a huge red flag. The show claimed that they were going to have some pretty big tumblr guests as well as "Welcome to NightVale" doing a Q&A and a reading of their podcast shows. Totally legit, right? Well, as the weekend progressed, I discovered just how badly designed and organized this poor show had been. Thank you internet for keeping me up to date on this! 1.) According to the convention, the hotel was going to toss out the convention on Friday night if they didn't come up with the full amount to cover the show, equaling about $17,000 (they already apparently had $3000 on hand because the total was $20,000). They managed to raise this money within hours. Queue tumblr memes of "what $17,000 can buy you. This is still under investigation - and rumor have been flying like crazy. Namely - was this a scam? Did the hotel re-neg on their original contract? How did they get the paypal money immediately to the show? (It takes 3-5 business days to transfer the money) Will contributors be refunded after the show is paid off with entrance fees and the like? Did the hotel make it up because they were "weirded out" by the con goers? 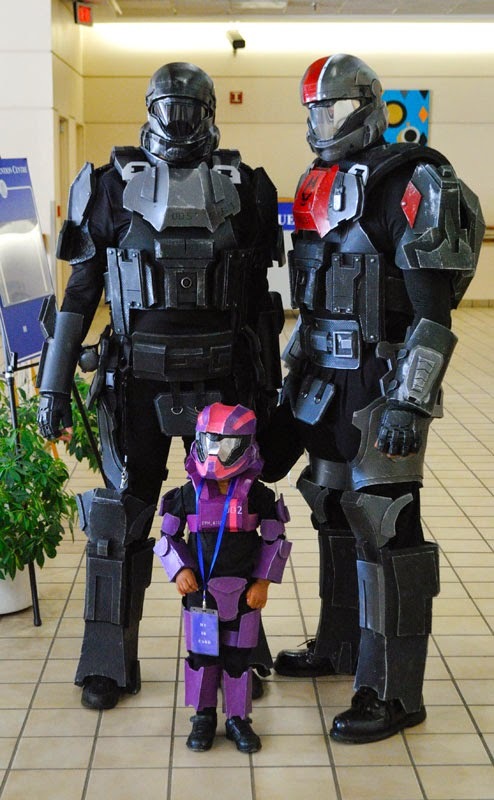 (According to some accounts, this hotel had never actually held a convention like this and were taken aback by the weird people in costumes), or was the convention staff trying to get extra money they knew they wouldn't get otherwise? NOBODY KNOWS YET. I'm still waiting to find out more details. Honestly, because I'm worried about the poor people who contributed a lot of money and tried to make this an honest thing. 2.) They had advertised 3,000-5,000 attendees. According to accounts, about maybe 500-1500 might have been there all weekend. 3.) Guests began disappearing after it became apparent that they were not going to get paid. NightVale even had to pull out (understandably so), but attendees who paid for an extra ticket were not told until hours after the start time and no show. They were then given the option of having "One Extra Hour in the Ball Pit"
4.) Speaking of the ball pit... Yes. 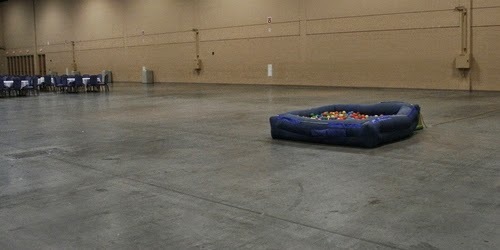 They had a room with an inflatable bounce house and a ball pit (I don't understand why cons do this - other ones have, and they've been kind of impressive, but honestly, I don't get it. Maybe I'm too old.). But this one? This one spawned it's OWN memes. That's it. An inflatable kiddie pool with plastic balls in it. At some point it apparently sprung holes and deflated. So they had to patch it up. 5.) 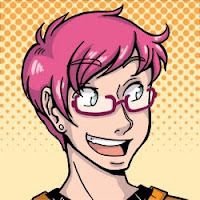 After checking out a personal account of a former committee member, I came to the conclusion that the people who decided to organize this show had never actually worked at a convention, let alone thought about how they're actually run. 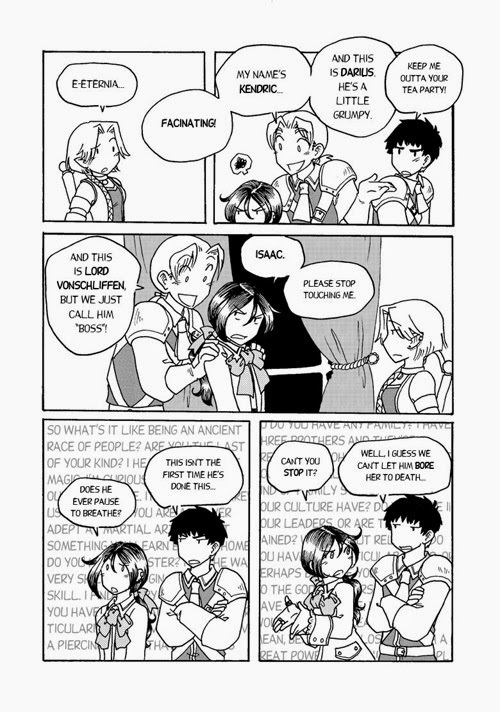 Apparently the committees were based on "fandoms" (superwholock, vampire diaries, etc), rather than... say... departments. You know, things like "guest relations" and "vendors". Honestly the whole thing was a hot mess. I hope that we can all learn from this event on "what not to do when running a show". 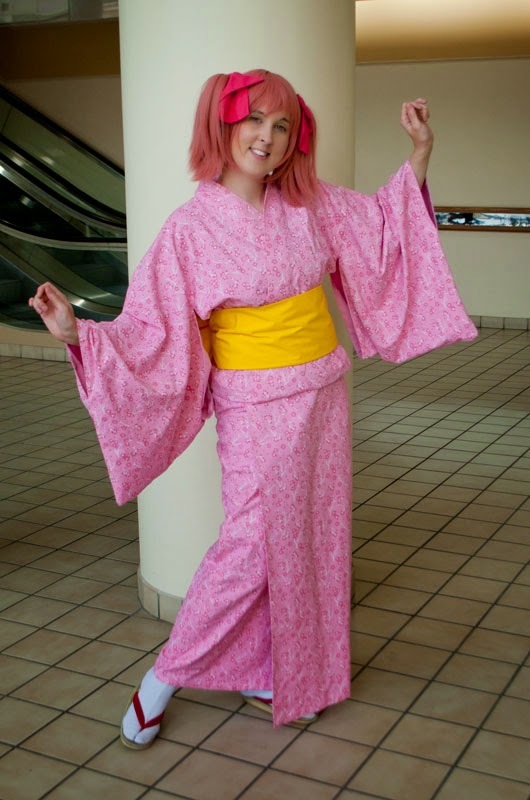 I'm almost more embarrassed for this convention than the AkiCon disaster the other year (where all the artists and vendors were located in a leaky, cold garage with no heat). My condolences go out to anybody who may have gone out with the intention of having a good time, but getting kinda shafted in a way. Those who had fun, I'm glad you did, but don't think this is how shows are run, please! At least we got some good memes out of it, right? If you'd like more COMPREHENSIVE coverage of this event and the disasters that went down, I'd STRONGLY suggest checking out the links below. 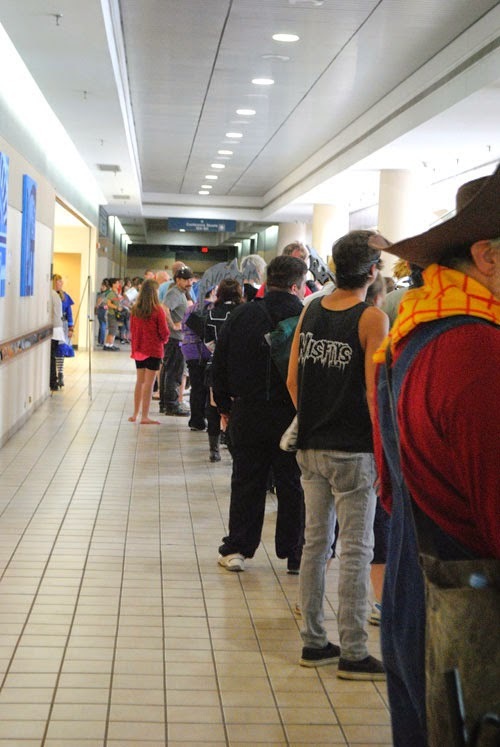 Retro Recap: Indy Pop Con 2014! Retro Recap Time! I didn't want to totally flood my blog with a bazillion convention reviews as I had so many so close to each other I was getting exhausted. So here's the recap I had been working on but got distracted with! 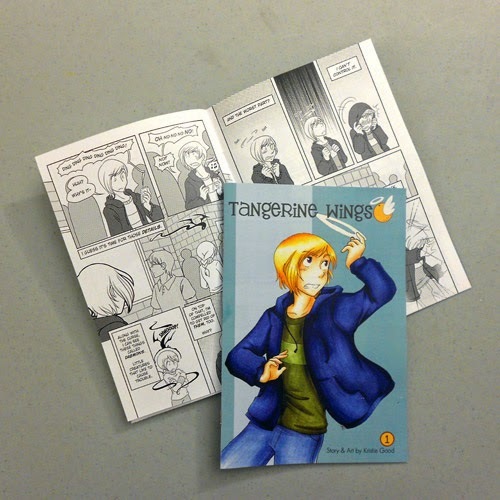 This year I had the opportunity to vend at Indy Pop Con, which was a "Pop Culture Convention" being held in downtown Indianapolis! Dave and I got there on Thursday afternoon after an interesting drive of avoiding all the accidents that seemed to be occurring on EVERY FREEWAY EVER. We also picked the route that apparently avoided ALL REST AREAS. Never doing THAT again! So we got in, and then traveled down to the convention center hall, to which I've only EVER been visiting to during GenCon. I'll admit. I was a tad stoked to be in the hall I had only visited before. The hall they had set up was HUGE, and I'd want to say it was on par with the space size of C2E2 in 2012 when I visited that one. Lots of vendors, lots of artists, and a whole bunch of other things! I discovered that I LOVED the put together cubes for a set up kind of like this - so I'm probably going to be investing in some of those for Anime cons (I'll talk more about that later!). Apparently there was quite the hullabaloo about the Costume Contest, which I certainly didn't enter, I was busy trying to sell things! Kinda glad I didn't though, it was apparently kind of special and I hope they fix it for next year. Then Sunday came, and the crowd was about the same? People ended up packing up around 4 pm as the crowds were really dying down at this point, and we were ready and out by 5 pm! On the road, and headed home, which we made great time, and gave us a good amount of time to rest and relax before starting the workweek again. Very professional! Hall was set up like actual shows - we had CARPET IN FRONT OMG, everything looked really polished. PLEASANT CROWD - No running screaming groups, everybody was mostly polite, felt like a real show, not a babysitting service! OMG FOOD TRUCKS I LOVE YOU NEVER LEAVE ME. Not as much attendance as previously estimated by the show. This probably hurt them the most - they were expecting Indiana Comic Con numbers, but got maybe a third of that (I hear the dealer's weren't very happy about this). Lurking cleaners - I swear they all just sat around the Ladies room waiting for somebody to use it, and then hurry in and clean it. I like a clean bathroom, but I don't like having random people just lurking in there waiting to clean and hearing me as I, yanno, USE THE BATHROOM! Shrink the areas for a year? It definitely needs sometime to get bigger - I'm glad it was as big as it was this first year, because the attendees appeared to have a blast, so they'll definitely be repeats. Increase the number and type of panels - and please change the process for panel sign ups. It was apparently very haphazard and unconventional. 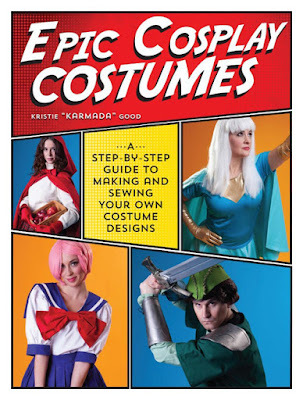 Advertise specifically to each group you want to cover - I think the comic book fans didn't realize there was a ton of comic stuff here, and the anime fans had no clue what to expect, and the general fantasy/sci-fi/gaming crowds had NO clue what was there! If there was some specified advertisements (not just the general "we're having a PopCon!" flyers), it might help get a lot more out-of-towners in. Try to keep the guests in their own area? I was at at able located right next to an art guest who was providing free head sketches, which pretty much killed any chance we had of doing commissions at our booth (and I'm sure others did too). Heavier duty badges. Mine got all bent, and I like to keep em, but that's just me. OH, and please have a space for a name? That'd be awesome.